Big Kilim Fever going on here, I just love Kilims, the colors the work put in to them, the motives, they are all just beautiful. Unfortunately time can be rough on them and we had another Kilim which had some holes making it not suitable as a floor cover, but perfect as materials for some bohemian bags. I use very strong (upcycled) leather for the tops, bottoms and straps. And Turkmenistan charms for the additional bohemian touch. 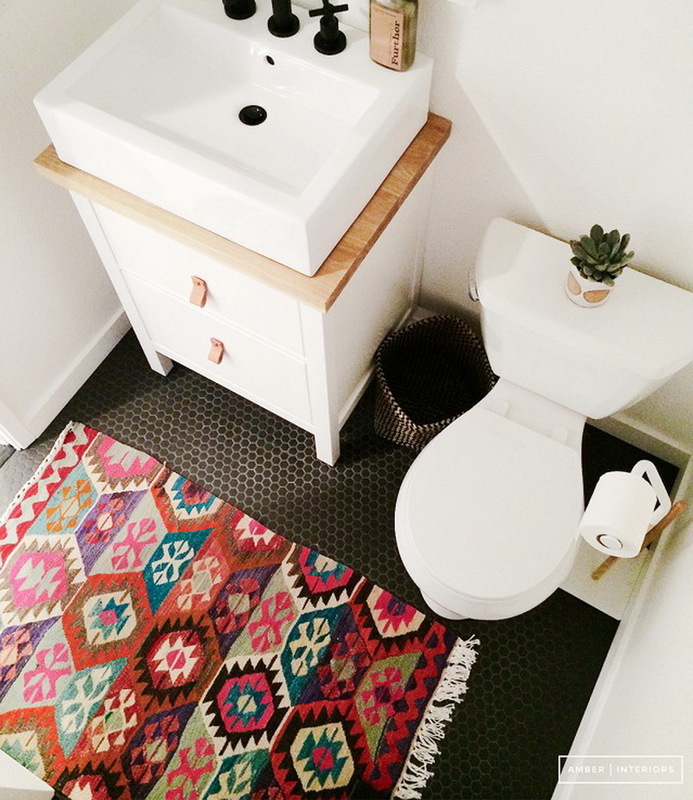 I also added another beautiful vintage Kilim in the StarHomeStudio shop which has gorgeous vibrant colors and beautiful geometric motives. 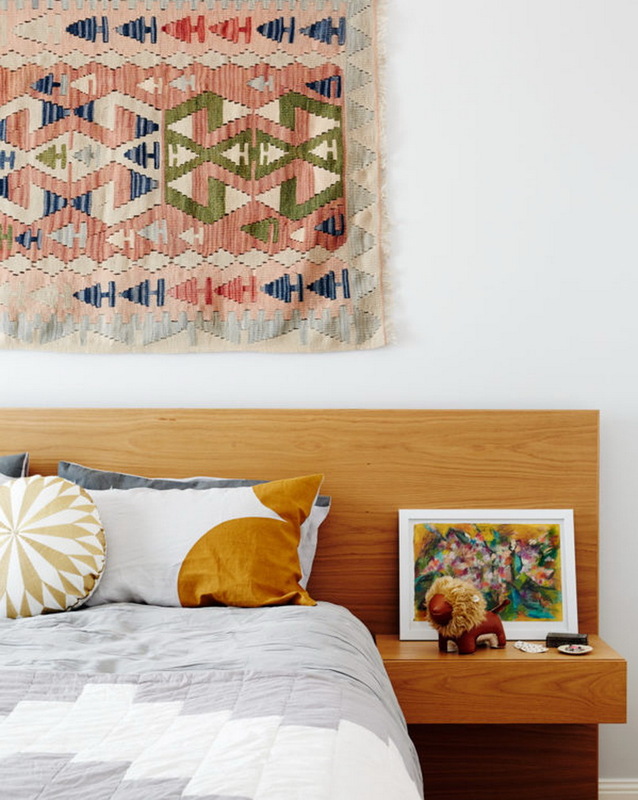 Here are some great looks to show how beautiful Kilims make a space, a boring room becomes very colorful with just one pretty tapestry. But also in less obvious places like the bathroom. And beside looking good on the floor they also make great accents on the wall like above the bed! So much beauty. Love the bags. I love to take a look at other studios and in combination with this beautiful items - perfect! gorgeous pieces!!! Your bags are fantastic!!! 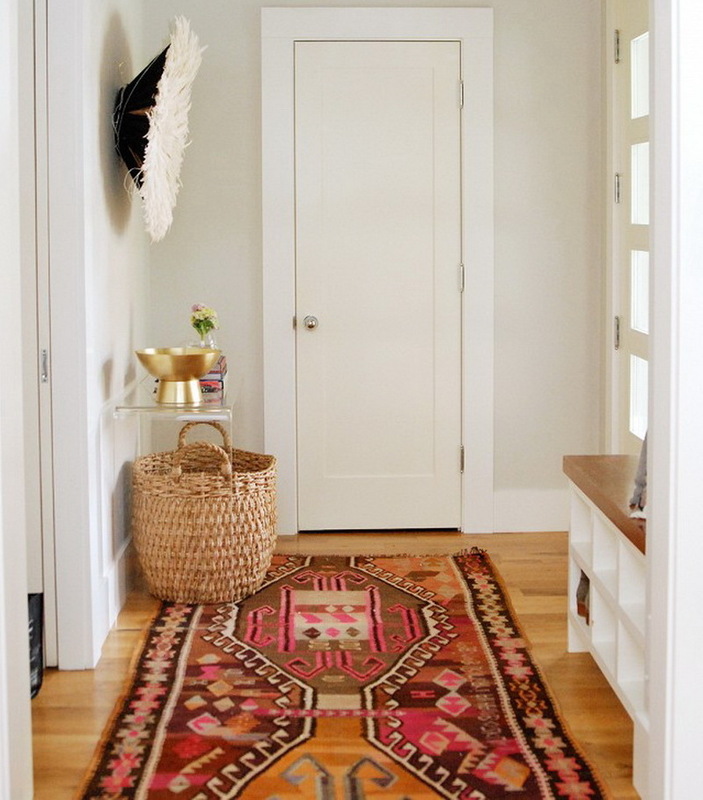 I also love kilims! I have one similar to the one you have that my grandma made! So colorful and cheerful, perfect to enlight any home! And the bags look amazing, great idea! I fell in love with these bags. Great work and unique pieces!